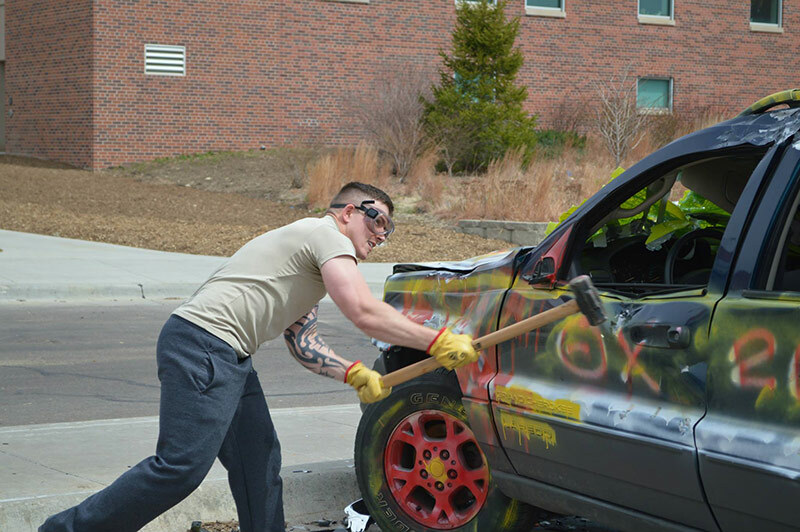 Theta Chi Hosts Annual "Car Smash"
Join Theta Chi as they raise money for the United Service Organization; April 19. Join Theta Chi as they support the United Service Organization with the Theta Chi Car Smash. The U.S.O. provides entertainment for our troops who are serving abroad, dedicated spaces in airports all over the world and services that help troops transition back into everyday life. The car smash will take place Thursday, April 19, 2018 from 8:00 A.M. - 1:00 P.M. in the H&K parking lot. Participants can take one swing for $2 and each additional swing for $1. You can also purchase 5 minutes worth of anger and stress fueled swinging for just $10. Help Theta Chi raise money for our active military members here at home and overseas!